1. My ears have grown accustomed to the noise. 2. I can’t hear my co-workers when I wear them. Several research studies have explored why noise-exposed workers don’t wear their hearing protection. The primary reason is often not comfort, rather the workers’ fear that it would interfere with communication and job performance. For a worker with normal hearing, communication ability actually improves when wearing hearing protection. 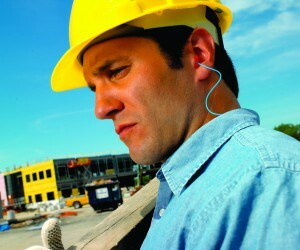 But for a worker with existing hearing loss, wearing hearing protectors can indeed affect communication. Fortunately, some manufacturers have responded with a number of speech-friendly hearing protectors. Some have uniform attenuation across all frequencies, so that wearing the earplug reduces volume without distorting conversations from a co-worker -- speech sounds more natural. Some electronic earmuffs are designed with amplification circuits to make speech easier to understand in intermittent noise. But the best response to this excuse might just be to remind the worker that a hearing loss causes a disruption to communication that is permanent. Protecting hearing allows good communication throughout life. 3. I need to hear my machine noise and alarms. Like its cousin, “I’m safer without my seatbelt,” the excuse that hearing protection prevents one from hearing warning signals and alarms is very short-sighted. The easy answer to this complaint is to simply fast-forward a few years: the unprotected worker won’t be hearing those warning alarms very well in a few years after incurring noise-induced hearing loss. Ideally, a worker should be wearing no more hearing protection than is needed to bring noise levels below 80 dB at the eardrum, and still let the worker hear what they need to hear -- warning signals and alarms. A valuable tool now available to safety managers is fit-testing of earplugs. Rather than relying upon published rating numbers, fit-testing allows a safety manager to accurately measure how much noise is reaching a worker’s eardrum. A worker in 95 dB of noise, for example, needs no more than 15 dB of real protection from his earplugs, to be safely protected yet still be able to hear warning signals and alarms. 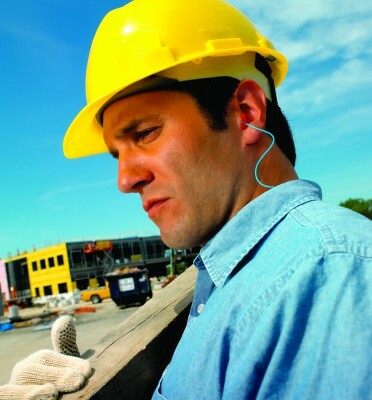 Fit-testing allows the worker to select the most suitable earplug, avoiding overprotection. 4. They cause infections in the ear. Research shows no higher incidence of new ear infections among earplug wearers compared to the general population. A user is more likely to get an ear infection due to swimming than from earplug use. However, if a wearer has an existing infection, it is best to switch to earmuffs for awhile, rather than aggravate the ear canal by inserting earplugs. It's important to always wear some type of protection when exposed to hazardous noise -- even short intervals of unprotected exposures can cause permanent damage to hearing. Keeping some earmuffs on hand, as a temporary replacement for workers with acute ear infections, is good hygiene practice. But avoiding wearing all hearing protection out of fear of contracting an ear infection is unfounded and dangerous. 5. If I lose my hearing, I can always get a hearing aid. In this spin on the old “pay me now or pay me later” rationale, some workers rationalize their laziness to protect their hearing by claiming it will all be fixed in the end by obtaining a hearing aid. But these workers fail to recognize that hearing aids do not restore normal hearing in the same way glasses restore normal vision. Noise-induced hearing loss doesn’t just make sounds softer, rather it distorts them. The most common complaint from a worker with a noise-induced hearing loss is, “I can hear you, but I just can’t understand.” The clarity of the message is gone. While hearing aids do a good job amplifying incoming sound, they rarely restore the clarity of incoming sound back to normal. There is no known cure for a hearing loss due to loud noise. There is no surgery, no rehabilitation, no medication that returns a noise-induced hearing loss back to normal. If a safety manager addresses the common excuses that some workers use to avoid good protection, the workers will understand the importance of hearing conservation, both on and off the job. Hearing loss due to loud noise is painless and permanent, but also very preventable.